The trial of Junior Anthony Henry has commenced at the Georgetown Supreme Court before Justice James Bovell–Drakes. 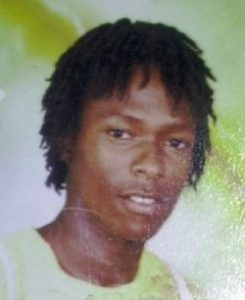 Henry is accused of the murder of Michael Hamilton called ‘Mickel’, which occurred on October 7, 2013 at Sparendaam, East Coast Demerara. Hamilton was reportedly gunned down two corners away from his home. His killer had purportedly fled the scene of the shooting. According to reports, police investigations had revealed that the 22-year-old mason of Lot 128 Sparendaam Housing Scheme was shot twice by a gang member with whom he had an ongoing feud for several months. The victim’s family members had reportedly received death threats prior to the shooting. Police investigators revealed that the two men were known to each other. They had said that the shooting was the result of an ongoing gang feud. The police had received reports of the two warring parties shooting at each other. According to the facts of the case, during the confrontation, the suspect allegedly opened fire, grazing Hamilton in the leg. Hamilton reportedly followed his attacker to Second Street, Sparendaam, where he was shot dead. A relative of the victim recalled hearing three gunshots and later seeing Hamilton leaning against an uncle while blood gushed from a wound in the centre of his chest. He was placed in a taxi and taken to the Georgetown Public Hospital where he was pronounced dead. An uncle of the dead man had said that the family had made numerous reports, before the murder, but no action was taken by the ranks. State Prosecutors Tiffany Lyken and Sarah Martin are set to call eleven witnesses to the stand during the trial. Attorney-at-law, Lyndon Amsterdam will be representing the accused.